Holy Spirit Monday celebrates the coming of the Holy Spirit in the form of flames. This holiday occurs 50 days after Orthodox Easter. This holiday is celebrated with family and friends. Most buildings are closed however some may remain open. On Holy Spirit Monday the Holy Spirit is believed to come to the world in the form of flames. 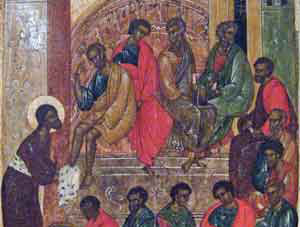 Christians see this event as the birth of the church.